Please continue to work on XNA. It's a great way for indie game developers like myself to make games and give them to the world. XNA gave us the ability to put our games, easily, on the most popular platforms, and to just dump XNA would be therefor heartbreaking... I implore you to keep working on XNA so we C# developers can still make amazing games! Back in 2013, we announced that XNA 4.0 would be the last release of the XNA framework. We thank all of you who used XNA in your games, and we’re humbled by the number of you who want an XNA 5.0! However, XNA 5.0 is not something we’ll be developing. We know that many of you want to use cross-platform engines to build your games and deploy them in all the places that gamers care about – Xbox, Windows, Sony PlayStation, Nintendo Wii, iOS, Android and more. Now, there is an amazing ecosystem of game frameworks and engines that support building games on Windows and across all platforms. If you are looking to port your existing XNA game to Windows 10 UWP, please explore the MonoGame framework, which is an open-source, cross-platform implementation of XNA, supporting Windows 10 UWP and a variety of other platforms. If you are looking to build a cross-platform game using C#, .NET and Visual Studio, you can explore Unity, a powerful 3D and 2D game creation tool and ecosystem. Unreal Engine 4 and Cocos2d are also great options for building cross-platforms games using Visual Studio. In addition, if your game was built with XNA and previously worked on Windows or Windows Phone, it will continue to work. Please do work on Silverlight next version. I feel Silverlight is great tool which has best in cross development web experience. Although you guys are spending time on HTML5 and other stuffs, but I feel it takes years to bring HTML 5 is not flexible enough like Silverlight. One more thing, as a Silverlight developer it was only my chance to replace flash from my projects, but as you guys stopped working on it; I feel that I wasted my time in learning Silverlight. While Microsoft continues to support Silverlight, and remains committed to doing so into 2021, there will be no new development work except security fixes and high-priority reliability fixes. Silverlight out-of-browser apps will work in Windows 10. Silverlight controls and apps will continue to work in Internet Explorer until October 12, 2021, on down-level browsers and on the desktop. We don’t have plans to enhance the C++/CLI language to support more recent CLR functionality. The goal for C++/CLI remains to enable a thin interop layer between your native code and managed code in your Windows Desktop applications, not to fully replicate all CLR capabilities. Thank you for your understanding. We are returning your votes, please put them to good use! I know there has been a lot of discussion on this topic, and the general interest has been around improving the performance of Visual Studio. With VS11 Beta out, we have seen significant improvements in performance. At this point, we do not have plans to re-write the IDE in native code, and we are going to close out this idea and release your votes for you to apply elsewhere. We have the performance forum (link is on the bottom of the right hand side of the main VS UserVoice page) where you can vote for specific performance ideas, without using up your 10 votes on the main forum. If 4.5 is an in-place upgrade, it should support every OS that supports 4.0; wait until 5.0 to drop support for Vista and XP. It takes too long to begin debugging an application. It also takes too much time stepping through code in debug mode. Make a Visual Basic 6 Community edition free download of the Microsoft VB6 programming language and IDE available. Microsoft already have a VS2013 community edition and also a free download of Expression Web. Now please allow a 'Community Edition' of VB6. We have no plans to release a new incarnation of the Visual Basic 6 IDE, either as an incremental update or a free “Community Edition”. Some of you have expressed concerns that without such a product it would be difficult or impossible to maintain your existing Visual Basic 6 applications using a licensed version of the product. Please note that Visual Studio Community has a license that restricts use for enterprise development and as such a Community Edition of the Visual Basic 6 IDE would not actually address that concern. Additionally, your original license for VB6 is perpetual so provided that you still have the license key you may continue to install the product for current and future use. Lastly, the Visual Basic 6.0 IDE is available to all MSDN subscribers and can be downloaded at any time from the subscriber downloads section and installed. A generic subscriber key is provided for convenience if needed. support XP for 4.5 until the end of XP support! So many entreprises have to continue to support XP because microsoft themself still support it until 2014! Because of this we have to ban 4.5 development on any products that is sold externally. Please come back on this marketing decision and provide a 4.5 framework that the entreprises can work with! Thanks SlickRick and everyone else for sharing feedback on this issue. We have published Visual Studio 2012 supported platforms here: http://www.microsoft.com/visualstudio/11/en-us/products/compatibility. While Windows XP and Windows Server 2003 are not supported by .NET Framework 4.5, they remain as a supported targeted platform in Visual Studio 2012 by targeting .NET Framework 4.0. More information is available here: http://blogs.msdn.com/b/visualstudio/archive/2012/05/18/a-look-ahead-at-the-visual-studio-11-product-lineup-and-platform-support.aspx. For those still needing to support Windows XP and Windows Server 2003, we’ve added value down-level to .NET Framework 4.0 from 4.5 via platform updates (4.0.1, 4.0.2 and 4.0.3) and standalone libraries (http://blogs.msdn.com/b/bclteam/archive/2012/10/22/using-async-await-without-net-framework-4-5.aspx and http://nuget.org/packages/Microsoft.Net.Http). Support missing C99 features in plain C - stdint.h, declaration in the middle of the block, struct initializers with labels. C99 support is 12 years too late already. Our primary goal is to support "most of C99/C11 that is a subset of ISO C++98/C++11. We do not plan to support ISO C features that are not part of either C90 or ISO C++. As Microsoft determined LightSwitch as tool not only for developers, it would be very useful to have Report Designer and be able to make Report directly from LightSwitch. This is one of the most wanted feature that non-evelopers need. At the moment, making reports is bit of challenging and need a big efforts to be done. Thank you for taking the time to create this suggestion. We carefully considered this suggestion, but given that there are already many options for creating reports, we have decided to decline this suggestion. SQL Server Reporting Services can be used to create reports for a LightSwitch application. See instructions how to do this at http://msdn.microsoft.com/en-us/library/jj635142.aspx. Alternatively, a blog post describing how to use Active Reports in LightSwitch is available at http://lightswitchhelpwebsite.com/Blog/tabid/61/EntryId/3253/Creating-Multiple-Reports-in-a-Single-Project-Using-ActiveReports.aspx. We love Resharper, but this UserVoice site is not really about this kind of thing. I’m going to close this out out as declined, and give everyone their votes back. 1. No more :::::::::::::, and the Toolbar Separators are flatter and lighter. 2. Highly influenced by Zune App UI. Take note of the Min/Max/Close, and the Size Grip, as well as the simple border. 4. The ALL CAPS thing is still there, but formatted exactly like in Zune's Metro UI Typographic Style. 5. VS 2012 Icon, Title Bar, and Menu made more consistent with Metro UI's header font, Segoe UI Light. Thanks for the idea, and we’ve taken steps with RC to address the feedbck we’ve received to date. As it stands, I’m going to close this idea out – technically as declined, but we have made adjustments to the UI. While we did not adapt this particular suggestion, I hope you will find the changes are an improvement over Beta. If not, please feel free to make a new suggestion. Closing this item will give everyone back their votes, to apply against RC. I think that only fair thing to do is to split VS and actually make VS for C++ developers written in C++ and VS for managed developers could be then written in managed. Because it compiles code faster on large code bases. Because it is more C++11 compliant. Because it will be updated with fixes in a timely manner. Because it will require less of your maintenance. Because you can contribute back to it to make it even better. Because you can build tools out of it like Intellisense, static analysis, etc. Because MSFT can focus on Visual Studio UI and other elements that make it a nice IDE. Because this is what C++ developers would prefer (non-biased opinion here :P ). Because code portability is important in this platform diverse world. Thank you for the suggestion and the good discussion. There are a lot of great reasons expressed here for why switching to Clang would be a good or bad idea. We’ve made Clang available for use in Microsoft projects as a preview in the Clang/C2 project. We will not move away from the MSVC compiler toolset in the forseeable future. Make inline asm in x64-bit projects. Hi, thanks for the suggestion. You can currently write a function in x64 assembly language and use MASM to create an object file and then use in in your C/C++ application. In Visual Studio 2010 there is an MPI Cluster Debugger that allows us to debug MPI applications. It seems that this feature has gone, so please bring it back to make it easier to develop MPI applications on Windows. We looked into the feasibility of bringing back the MPI debugger and determined that the cost is not feasible at this time. Therefore we are going to decline this suggestion and return your votes to you. It would be nice if there was a way to register/activate the Community Edition of VS offline, that one can use it (longer than 30 days) on virtual machines without internet access or PC that cannot access the Internet. There's a way to install it on machines like those discribed above using the "/layout"-Option of the setup on another PC to then install it on the offline PC afterwards, but then there isn't an option to register/activate that copy of VS.
For example let us download a license file for the community edition in addition to signing into a Microsoft-Account or give us the option of using VS Community without registration of activation entirely. Thank you for the feedback and the suggestion about Community edition. This may not be the answer that you want to hear, but we do require occasional online connectivity as a requirement of using Visual Studio Community. 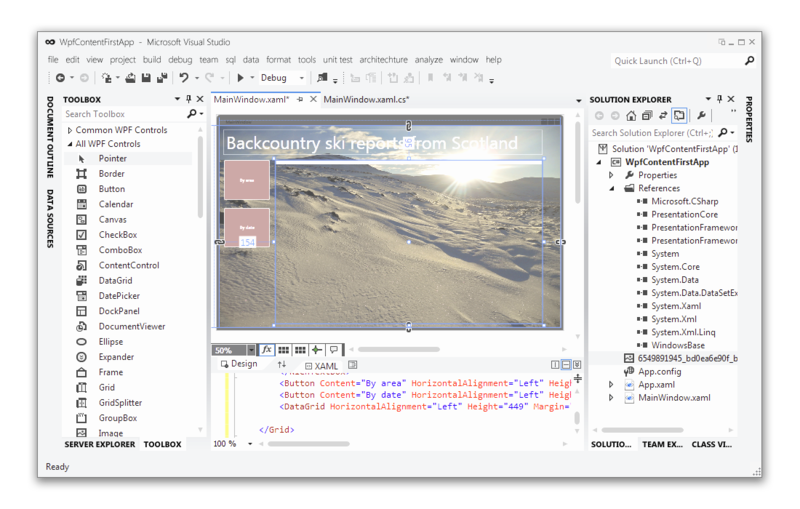 As you probably know, we introduced Visual Studio Community two years ago as a free, full-featured development environment designed for students, open source contributors, small companies, startups and individual developers. While we set out to try and make Community as broadly available as possible, we recognize that it doesn’t accommodate every scenario. For those who need offline usage, Professional and Enterprise editions might be a better choice. Since we’re not able to accommodate this request, we are closing this suggestion to return your votes. While we can’t address all suggestions, we appreciate the feedback and hope you’ll continue to share your ideas. I'm sure there are many developers out there with "older" systems that are completely capable of running Windows 8 64-bit and Visual Studio 2012 but are not able to develop and test Windows Phone 8 applications because of Microsoft's choice to make the Windows Phone 8 emulator a Hyper-V virtual machine. There should be a mechanism to run the emulator using either VMware Player or VirtualBox which will use SLAT if it's present but will continue to work if it isn't or update Hyper-V to do the same. I don't understand this choice as I am able to write applications for Windows 8 using the built in simulator and I would think that is more involved than developing for the phone. Making it MORE difficult to develop for the phone isn't smart when you need more apps to compete with other ecosystems. Developing Windows apps requires a Hyper-V compatible processor and edition of Windows to use a Windows Phone or other device emulator. You can also deploy and debug to a connected device.